Just got a 2019- fog light kit doesn’t account for eyesite buttons- where does switch go? Here are the buttons- eyesight where switch should go. Blank switch on bottom row has a four wire but not the same as fog light switch- did they change kit for 2019? 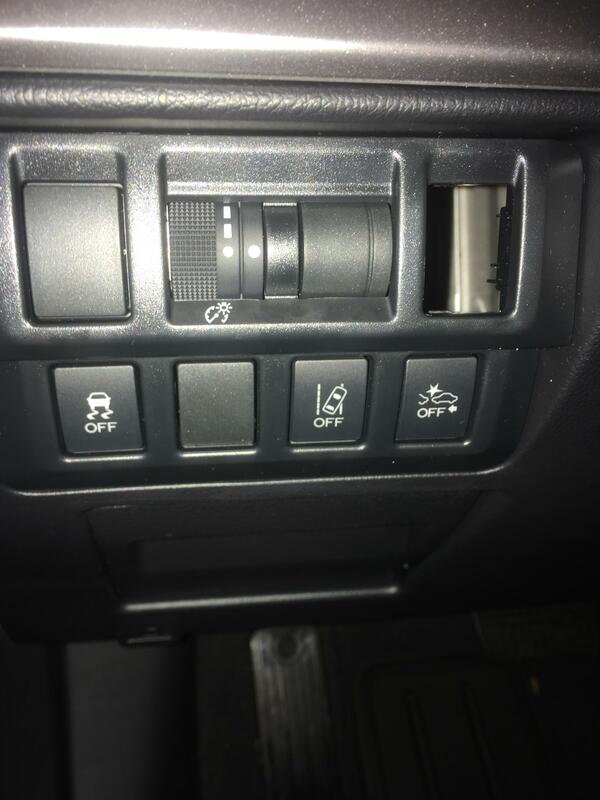 On my 2019 OB that came with fog lights, the switch is part of the turn signal stalk. There is no factory fog light kit for the 2019 base model yet, and the 2018 kit, as you discovered (me too) has the switch location problem. And even after finding another blank to mount the switch in, and getting what I think is the right harness connected, will not pick up the fog light relay. I’m working on getting my kit working, but it’s a struggle at present. I got the stalk with fog light switch and installed it. Lights still don't come one. The wiring for the fog light switch was present on the opposite end where the new switch plugged in. The fog light switch stalk has two extra wires that the base switch did not but they are in the harness on the base. Therefore, I believe that either the other end of the fog lights are not hooked into the system or the other of the switch is not hooked into the system. Going to try to follow the wires back. I have found a lot of thinks that are taped off in blue under the hood (not used). Maybe one of these connections just need to be made. Also, I check fuses- fog light relay from 2018 kit goes in right spot. I can't find any fuse that I am missing or none for fog light switch. All you need to do is add a fuse 7.5 to alt s- it is listed on diagram but only one missing a fuse. So 2018 kit, turn signal stalk with fog light switch. I’m going to use the accessory switch from 2018 kit for a light bar down the road! How difficult was it to replace the stalk?